Worst part: The overt religious symbolism. It’s a bird…it’s a plane…it’s….yet another superhero origin story. One by one, famous superheroes are being thrown onto the big screen. 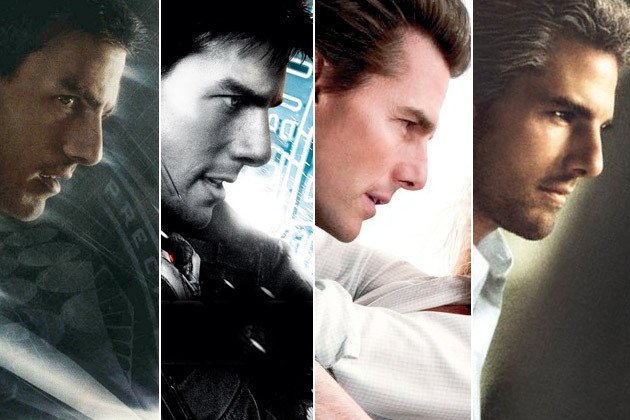 Some superhero flicks work, while others spectacularly crash and burn. Marvel’s recent success proves they have mastered the superhero film formula. DC Comics/Warner Bros. most recent effort, Man of Steel, largely succeeds thanks to both scale and inventive storytelling. It essentially becomes the yin to Iron Man 3‘s yang. Desperate to get a Justice League movie (the DC Comics version of The Avengers) off the ground, Man of Steel provides DC/Warner Bros. the perfect leap off the blocks. For those who don’t know of Superman’s origin story, the film provides a delicate and intricate interpretation of his most iconic elements. The film starts off with Krypton in complete disarray. 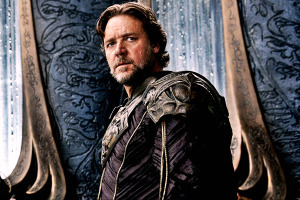 Scientist Jor-El (Russell Crowe) and his wife Lara (Ayelet Zurer) must contend with Krypton’s apocalyptic problems and their newborn son Kal-El. Whilst Jor-El warns the Kryptonian leaders of the planet’s oncoming doom, General Zod (Michael Shannon) leads a military coup against them. Kal-El is sent to Earth and Zod is sent to the Phantom Zone shortly before Krypton’s destruction. Kal-El is then raised as ‘Clark Kent’ (Henry Cavill) by Jonathan and Martha Kent (Kevin Costner and Diane Lane respectively). Kal-El/Clark’s resolve will be tested when Zod comes to Earth to reclaim Krypton’s most treasured elements. Aided by enthusiastic Journalist Lois Lane (Amy Adams), Kal-El/Clark must decide whether he wants to be a peaceful citizen or a caped warrior who stands for truth, justice and the American way. This films sits (quality wise) between a game-changing reboot like Batman Begins and a repetitive cash-grab like The Amazing Spider-man. This reboot sets out to make Superman popular with Gen-Y. To a certain extent, it passes with flying colours. 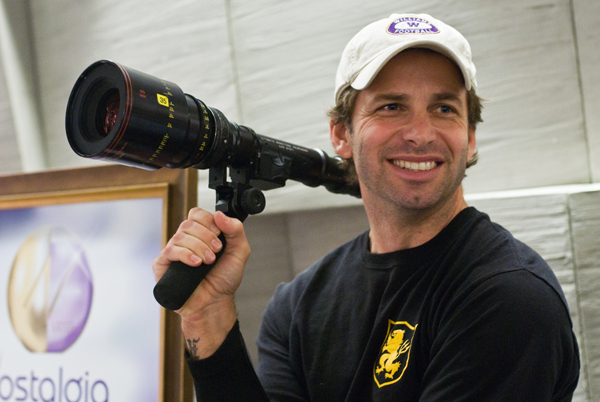 Director Zack Snyder (300, Watchmen) is one of Hollywood’s most polarising figures. His comic book adaptations lean toward the darker shades of superhero lore. 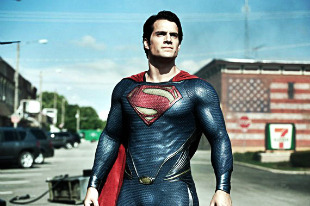 With Man of Steel, he has delivered a gritty and pulsating superhero romp. Here, Snyder displays his knack for kinetic storytelling. Overcoming David S. Goyer’s formulaic screenplay, Snyder presents a well-known origin story in an inventive and heartening fashion. Thanks to Christopher Nolan’s touch, Snyder takes the Dark Knight trilogy approach. For the movie’s first half, Man of Steel looks at the internal aspects of DC’s most popular superhero. After the opening set-piece on Krypton, the movie jumps back and forth in time to valuable parts of Kal-El/Clark’s life. This Batman Begins-like storytelling develops both the iconic lead character and this reboot’s dour tone. However, unlike Nolan’s Batman flicks, Snyder injects fantastical elements when required. Despite its structural/narrative similarities to Thor and The Incredible Hulk, this is more like a sci-fi extravaganza than a by-the-numbers superhero flick. However, Snyder drops the ball when it comes to the subtextual aspects. Some shots, including one of Kal-El/Clark sitting in a church in front of a stain glass window depicting Jesus Christ, are more eye-rollingly obvious than convincing. Man of Steel‘s biggest flaw is that it wants to have its cake and eat it too. Snyder’s unchained direction dabbles in both existential drama and pacy popcorn-chomping action. In fact, between the first and second half, the film switches inorganically from one to the other. Thankfully, Unlike the sorely underrated Superman Returns, Snyder’s movie is not obsessive about Richard Donner/Lester’s Superman and Superman II. Despite borrowing a few key elements of those movies, this is a fresher and punchier interpretation of Superman than previous efforts from this century (Smallville included). The only thing bigger than the ‘S’ symbol on Superman’s outfit is Man of Steel‘s epic sense of scale (aided by Hans Zimmer’s thundering score). Despite leaving out his saturated visual style and slo-mo/speed-up tricks, Snyder is often let off the leash to deliver many awe-inspiring set-pieces. From Krypton’s obliteration to Metropolis’ destruction, this movie shows an obvious and gleeful lack of subtlety. Although the action-direction is enthralling (thanks to the shaky-cam), the baffling amount of collateral damage calls Superman’s code of honour into question. Never has a major city suffered this much carnage since Independence Day. In fact, the most engaging set-pieces focus on Kal-El/Clark’s moral conflict. The oil rig, tornado, and bus crash sequences say more about power and responsibility than any of Jor-El and Jonathan’s long-winded speeches. “I let my father die because I trusted him, because he was convinced that I had to wait. That the world was not ready. What do you think?” (Clark Kent/Superman (Henry Cavill), Man of Steel). Some will say this blockbuster sorely lacks joy, humour, and charm. While others will argue that’s the entire point; to strip any sense of fun out of the story to establish Kal-El/Clark’s internal struggle. I strangely agree with both intensifying viewpoints. Delightfully, the intensifying A-list cast brings levity and heart to this visceral tale. Despite the underdeveloped characterisations, everyone gets an emotional payoff that makes them likeable and/or humanistic. Thankfully, Superman is Man of Steel‘s most engaging character. His Bruce Banner/Logan-esque journey through the American wilderness leads him to embrace his fathers’ opposing ideologies. His transition from rugged, angsty individual to symbol of hope is poignant and entertaining. His first flight is particularly effective – establishing the rush of joy that would undoubtedly come with racing from Africa to the Grand Canyon within seconds. Cavill is charismatic as the courageous and stoic hero. Aided by his bulging muscular frame, Cavill proves he is a young actor to look out for. Adams is at her charming best as the ball-busting and Pulitzer Prize-winning Lane. Despite blatantly crossing the line between investigative reporting and detective work, Adams’ Lane establishes herself as a mentally powerful force of nature. Shannon provides a breakout performance as the vicious yet sympathetic Zod. 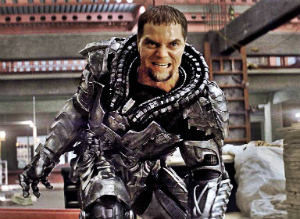 Thankfully, Zod is established as a thought-provoking antagonist and not Superman’s punching bag. Crow and Costner are also enthralling as the clashing father figures. 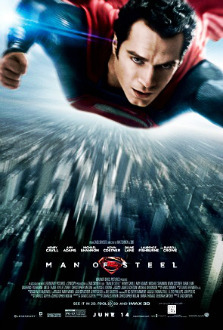 Despite its issues, Man of Steel is an enjoyable and gripping superhero flick. By putting a unique spin on the Superman mythos, Snyder has developed a pacy, visually-arresting, and heartening look at a well-known cultural icon. Bravely, this interpretation depicts Superman as being much more than just the world’s strongest boy scout. Verdict: A dark, dense, and relentless origin story/summer blockbuster. Since its humble origins, the zombie genre has evolved to suit vastly different tastes, concepts, and directorial styles. It started with George A. Romero’s seemingly low-budget thriller Night of the Living Dead, then went ‘viral’ with Danny Boyle’s ultra-popular 28 Days Later, and then a leather-clad Mila Jovovich was thrown into the mix with the Resident Evil franchise. Zombie films make a killing at the box office thanks to both gore and style. World War Z is a different beast entirely compared to the aforementioned seminal zombie-thrillers. World War Z is both an enjoyable disaster flick and thrilling man-on-a-mission story. Despite its engaging elements, the plot itself is rather straightforward. The film focuses on one family’s terrifying ordeal during a zombie apocalypse (the best type of apocalypse, in my opinion). Former UN investigator turned family man Gerry Lane (Brad Pitt) lives a quaint existence. 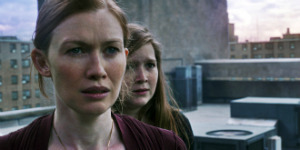 After some precious family time, the Lanes, rounded out by Gerry’s wife Karen (Mireille Enos) and their two children Constance (Sterling Jerins) and Rachel (Abigail Hargrove), get stuck in the traffic jam from hell! An explosion is soon followed by a runaway truck and a crowd of panicky citizens. Gerry gets his family to safety during the chaotic crowd’s transition from human to zombie. 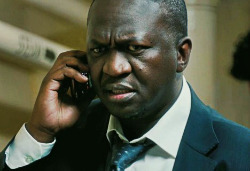 The US Military, featuring Gerry’s former workmate Thierry (Fana Mokoena) and a forceful naval commander (David Andrews), implores him to help find both the outbreak’s source and a cure. Gerry, with the help of a young doctor (Elyes Gabriel) and an even younger soldier (Daniella Kertesz), must then travel to South Korea, Israel, and Wales, whilst avoiding major zombie attacks, to help save the human race. 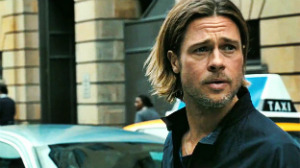 World War Z was hampered by budget, scripting, and directorial issues throughout its production history. With all that in mind, it’s a miracle it actually turned out to be a great movie! This is a zombie flick unlike any other. It has its noticeable influences, but director Marc Forster (Stranger than Fiction, Quantum of Solace) makes some unique decisions that separate his movie from other zombie-action/thrillers. He’s a ballsy director who continually transitions between genres. Like Quantum of Solace, the film moves at a brisk pace thanks to its many enthralling action sequences and visual elements. However, the nuances are simply used to distract from the movie’s wafer-thin story. If you’ve seen such viral thrillers as 28 Days/Weeks Later, Dawn of the Dead and I Am Legend, then you can predict this sprawling action flick’s every twist and turn. Like Contagion, this story is about the importance of fear, family, and humanity. The film continually teases the viruses’ source. 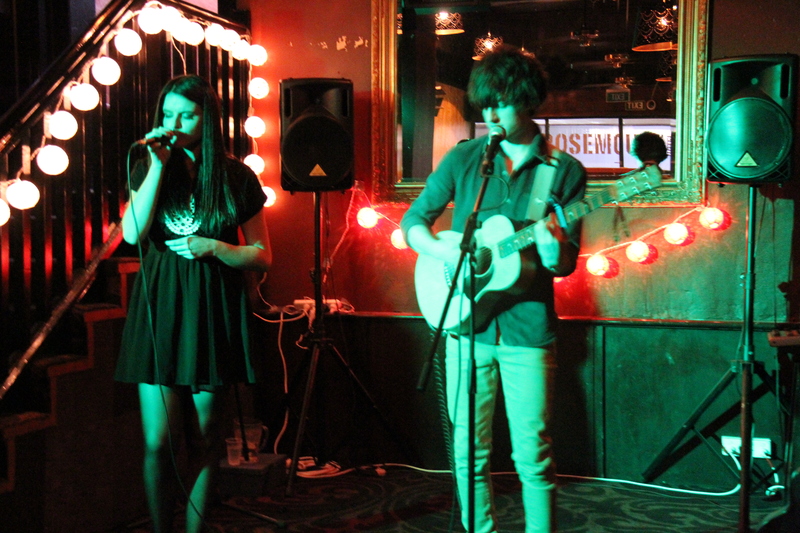 However, its greatest desire is for the audience to support Gerry throughout his journey. Beyond the nail-biting plane crash, I wanted nothing more than for Gerry to defeat this disaster and get back to his charming family. I found it humorous that any mention of the word ‘zombie’ was treated with disdain – smartly indicating that the human spirit still shone through the characters despite the unmitigated disaster. Like many zombie/disaster flicks, World War Z contains messages that point the finger at man’s mistreatment of Earth. Certain chaotic and choppy set-pieces allude to sickening 9/11 imagery. Meanwhile, the film’s mid-section contains a rather blatant commentary on the on-going Israel/Palestine conflict. Forster’s kinetic visuals elevate this simple yet effective zombie flick. Each setting/location is beautifully depicted with Forster’s earthy visual style. Multiple cityscape shots establish both the film’s epic sense of scale and the carnage caused by malicious zombie hordes. His action sequences move as fluidly as the aforementioned zombies. This globetrotting tale jumps from one increasingly thrilling and intense action sequence to the next. Its set-pieces also feature a different style and tone to one another. Despite the obvious CGI, the zombies move around and attack in a truly affecting manner. Leaping towards their targets, Forster gives them threatening and peculiar animalistic qualities. Their wailing and slobbering noises are also chillingly effective. The Jerusalem sequence, in which zombies climb on top of each other like ants, is an awe-inspiring sight to behold. However, there is a discomforting lack of gore. Without a single drop of blood, the film seems sorely affected by its M15+ rating. “If you can fight, fight. Be prepared for everything. Our war has jut begun.” (Gerry Lane (Brad Pitt), World War Z). The zombie outbreak in Jerusalem, Israel. The movie keeps to a consistent tone throughout its two hour run-time. Its thrilling jump scares and tension-inducing chases keep it from being as messy or goofy as a Roland Emmerich or Michael Bay film. Its news footage-esque presentation, particularly effective during the opening credits sequence, lends this movie the illusion of tangibility. Shots of reality TV shows and carnivorous wildlife metaphorically link human behaviour to the world’s ailing health. Unfortunately, the characters don’t have the same level of depth. The plot contrivances and one dimensional characters are distracting. I want to re-title this film ‘Brad Pitt survives…’. Gerry somehow pulls himself through every crazy situation and suffers only a few scratches to his face. However, he is a fascinating and intelligent character. From the first scene, you side with him thanks to his fatherly instincts and courage. Serving as producer and actor here, Pitt proves he’s worthy of his enviable status. His charisma and alluring screen presence pull you into his implausible journey. Enos is also engaging as Gerry’s understanding wife. Their chemistry effectively establishes a heartening partnership. Unfortunately, the supporting characters are used as either plot devices or zombie food. Without engaging supporting characters, the film’s structure becomes noticeably strained. 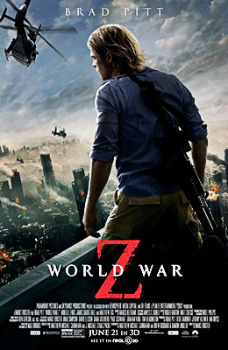 Overcoming its troubling production issues, World War Z is an intense and commendable action flick. Taking a different tack to any other zombie flick, the movie’s set-pieces, briskness, and scale elevate its overall quality. Forster and Pitt prove they are two of Hollywood’s most enthralling talents. Interestingly, the inventive third act leaves room for a sequel. Verdict: A fun and breathtaking zombie-action flick. Best part: The Oscar-calibre performances. Worst part: The final third. A man’s greatest influence, and fear, should be his father. Many brilliant movies have bared their characters’ souls to convey this theme (the Godfather trilogy). In The Place Beyond the Pines, this moral is valuable to every character skulking through its grungy settings. The film is a touching and brutal look at how ideologies, passed down from father to son, can still be affected by everything and everyone around us. This movie is unlike any other coming out in the next couple of months. It requires a significant amount of attention and thought. The film is a sprawling mix of three profound stories – looking at the cops and criminals of Middle America. The first tale is one of regret and alienation. Luke Glanton (Ryan Gosling), a stunt motorcyclist for a travelling carnival, finds out that his womanising ways have paid a price. His old flame Romina (Eva Mendes), to Glanton’s shock, has been looking after a child they conceived a year beforehand. Glanton quits the carnival to look after their child. 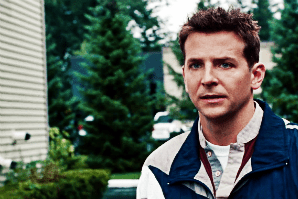 Unable to find a job, he and Robin (Ben Mendelsohn) rob banks to provide for everyone involved. In the next story, heroic cop Avery Cross (Bradley Cooper) is struggling to cope with both his newfound notoriety and the force. Pressured by both shady cops, such as Deluca (Ray Liotta), and his wife Jennifer (Rose Byrne), Cross begins to manipulate people to elevate his reputation and rank. 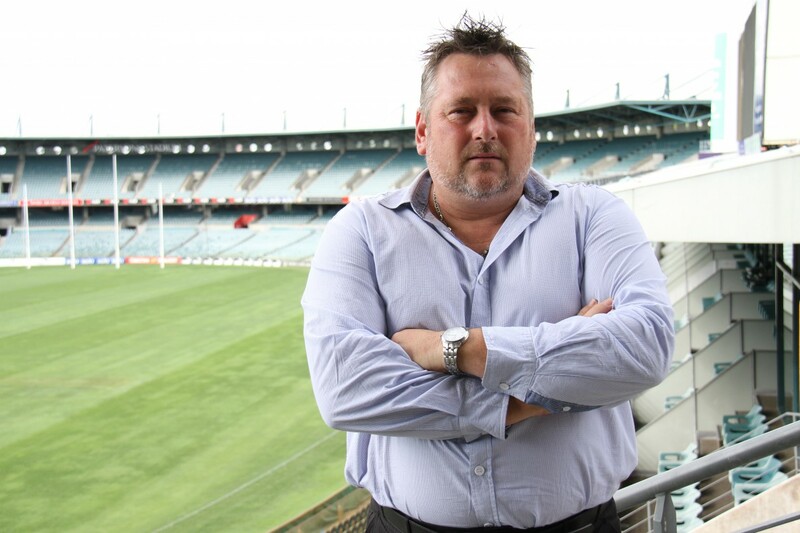 The third story is based on the consequences of Glanton and Cross’ actions. With Cross running for Attorney General, his troublesome son AJ (Emory Cohen) is doing him no favours. AJ’s friendship with similarly disturbed teen Jason (Dane DeHaan) could yield major problems. Derek Cianfrance (Blue Valentine) is a talented independent film-maker. 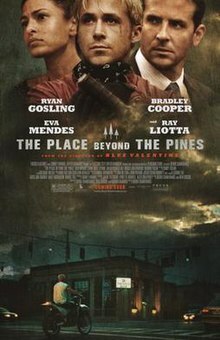 The Place Beyond the Pines is essentially three indie-dramas in one. The subject matter and tone are polarising aspects of this heartening crime-thriller. Throughout its exhaustive run-time, there are a plethora of emotions and decisions affecting each character. The story is divided in an intricate yet disjointed way. These stories divide the movie much like a play; containing their own messages and sub-plots which affect the course of nature. The power of masculinity is conveyed in light of the film’s many shocking developments. For example, the first third separates the men from the boys (figuratively and literally). However, I couldn’t detect a significant idea relevant to all three stories. Each third says something completely different to the others. By placing the most enthralling story in the first third, the following two seem uncomfortable and anti-climactic. It’s rare to see a film with such originality and yet so many noticeable influences. Glanton’s rotten journey contains shades of East of Eden and The Town. The second third contains elements of crime-thrillers like Copland and L.A. Confidential. While the final third is a disturbed concoction of Boyz n the Hood and Stand By Me. However, Cianfrance removes any trace of ‘Hollywood’ so as not to stick too close to those referential movies. Cianfrance’s style lifts what could’ve been a tired and convoluted drama. In fact, Cianfrance proves he can handle intense crime material similarly to James Mangold and Ben Affleck. The first act weaves itself seamlessly into the second. This is done via an eclectic motor-bike/car chase through the tired streets of Scynecdoche, New York. One unbroken, shaky-cam sequence provides a 90 second thrill-ride that tests the nerves of both the characters and audience. “If you ride like lightning, you’re going to crash like thunder.” (Robin (Ben Mendelsohn), The Place Beyond the Pines). Cianfrance brings an earthy aesthetic to this already grim spectacle. From the opening scene, the camera never stays still – capturing the inherent poignancy of this narrative. The opening is a seemingly unending shot of Glanton’s broad shoulders (Gosling certainly has an enviable physique). The shot illuminates his debilitating situation and existential angst. The editing has a poetic beauty that immerses you in these vastly different stories. While the soundtrack, by alternative singer-songwriter Mike Patton, lends the film a nuanced and affecting twang. However, Cianfrance’s style doesn’t specifically reside in the film’s aesthetic quality. He pulls back far enough to let the nuanced performances do the talking. Cianfrance significantly develops every important character. The top cop vs. greasy criminal conflict is presented as a gruelling fight for survival. Cianfrance puts a different spin on character types seen in movies like American Gangster and Mystic River. Despite the overt type-casting, the moody and breathtaking performances stand out. Gosling and Cooper strip away their ‘pretty-boy’ personas to deliver disgustingly affecting turns. Gosling brings brevity to his ‘loveable criminal’ role. Despite his many distracting tattoos, Glanton’s calm and creepy personality is mesmerising and strangely potent. Cooper proves that he is one of the best actors working today. His character’s journey is both frustrating and entertaining – allowing him to see the forest through the trees. Cross’ questionable methods convey a character who will stop at nothing to reap the rewards he was promised. Liotta, Byrne, Mendes, and Mendelsohn deliver the crackling dialogue in ways that lend dimension to their archetypal roles. Bruce Greenwood also delivers an engaging performance as the irritable police commissioner. Cohen, on the other hand, delivers an unconvincing Tom Hardy impression. The Place Beyond the Pines is about the obvious and subtle differences between Gen-X and Gen-Y. The movie delivers a heartening and profound statement about how our actions in the past, present, and future may intertwine. With this tense and well-performed crime-thriller, Cianfrance proves he is one of the best indie-drama directors working today. Verdict: A moody, scintillating, and visceral crime/drama-thriller.